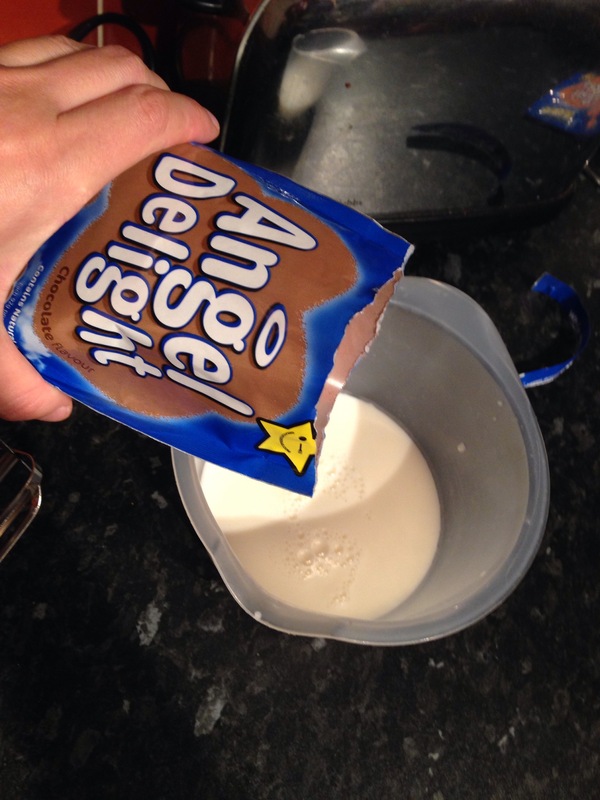 Angel Delight was a pudding I had as a kid. I can’t remember if it was a treat or a regular visitor to our dining table, but I definitely remember enjoying it more than a few times! I remember going to a Christmas party at church and there being a HUGE bowl of butterscotch Angel Delight. I have no idea how it happened but I remember the pudding being BAGGED UP for me to TAKE HOME after the party!! 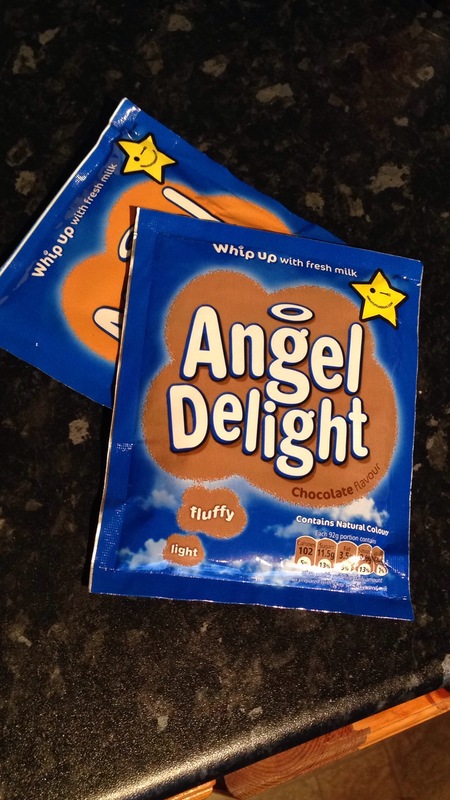 Our shopping trip this week took us into the aisle with the tinned fruit in, which I don’t usually wander down, and so I noticed the Angel Delight for the first time in a long time. I put two packets in the trolley, and looked forward to making one packet up at dinner time. 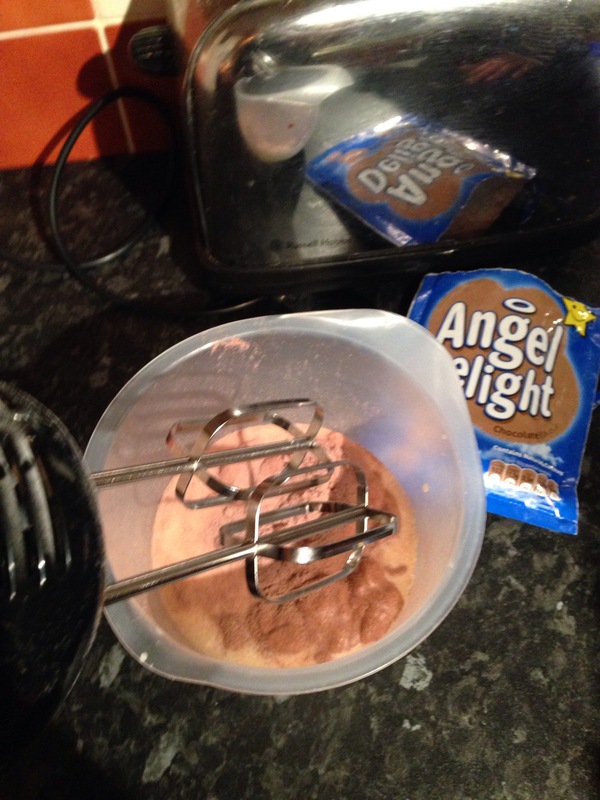 James helped, by putting the beaters into the whisk, then (as per usual) he needed a cuddle during the actual whisking. 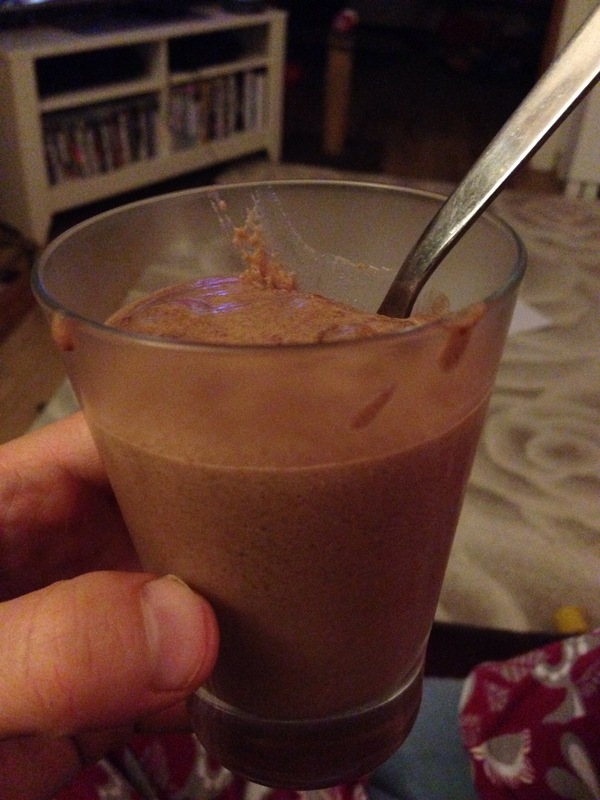 After dinner, we sat down to a delicious serving of chocolate Angel Delight. Absolutely as yummy as I remember. I’m looking forward to the butterscotch flavour very soon!